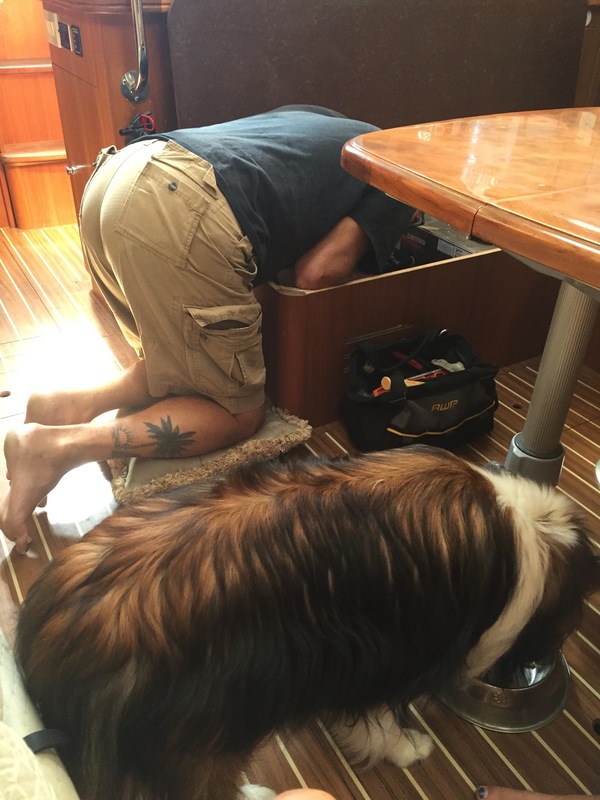 Gary in the typical boat maintenance position. The water heater decided to start leaking so out with the old and in with a shiny new one. All without me making a single trip to the hardware store or apparently bothering Oakley. There was some grumbling about the plastic connectors and we have a small leak. So I will be ordering lots of those plastic connector parts before we leave the U.S.